Cruise.com got underway as a web-based business in 1998 and has rapidly become one of the largest cruise specialists on the Internet. The company, based in Dania Beach, Fla., is a subsidiary of Omega World Travel, Inc. It offers a wide variety of cruises based on line (Viking, Royal Caribbean, Holland America, etc. ), specialty (culinary, wedding, kids, themed luxury, etc.) and port of departure (Baltimore, Galveston, Miami, Tampa, etc.). The company offers web-based training for its home-based positions, which lasts for four consecutive weeks that you participate in via your home computer. You are paid for your training time, and Cruise.com says all candidates whose resumes reflect recent cruise industry experience (within the past two years) will be considered. All home-based positions offer a base salary plus commission. The company also offers a benefits package, including travel agent benefits. Cruise.com has put out the all-hands-on-deck call in three categories of at-home workers: sales agents, support agents and customer service agents. In all three cases, it is required that you can work variable 8-hour shifts. Sales agents are expected to sell cruise vacations, insurance and other products to potential customers via inbound/outbound telephone and/or email leads. This position requires at least two years of recent sales experience in the cruise industry, preferably in a call center environment working with the major cruise lines. In some cases, English/Spanish fluency is required. See more bilingual call center jobs. Cruise.com is also looking for online support agents with at least one year of recent experience in the industry. If you accepted this position, you would be fielding calls to resolve customer problems, providing related information and selling insurance. 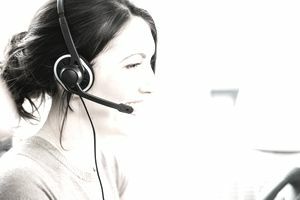 Finally, the company is looking to hire home-based customer service agents with at least one year of relevant experience in either sales or customer service. In this call-center job, you would be offering information to customers, answering questions and providing a high level of service. Read here about the type of office equipment needed in a home call center. If you’d like to set sail with Cruise.com, the company suggests that you copy and paste your resume to jobs@cruise.com. Make sure you mention in the subject line the job title in which you are most interested. In the email, provide a brief outline of your experience in the cruise industry. According to the company, final candidates must successfully complete a criminal and employment background check.